Oct 25, 2016 (LBO) – Sri Lanka’s Urban Development Authority is spending 17 million rupees monthly just to maintain Magam Ruhunupura International Conference Hall (MRICH), a senior minister said. Megapolis Minister Champika Ranawaka speaking at a function said they are not getting anything in return as it is not being used. 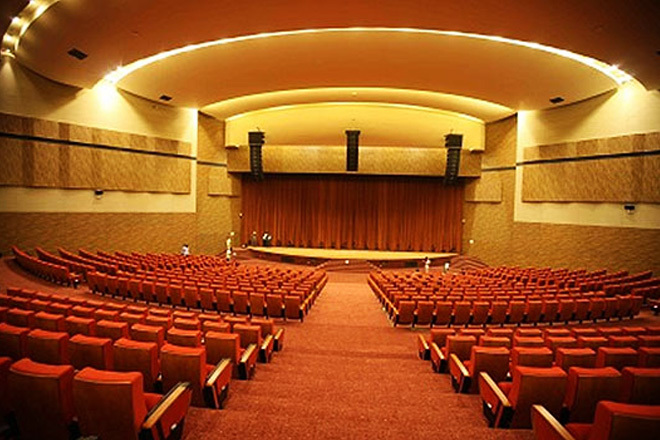 The conference hall was constructed by the Urban Development Authority and the Korean International Corporation at a cost of 15.3 million US dollars. The conference hall located at Siribopura, Hambantota was opened by ex-President Mahinda Rajapaksa in November, 2013. The Commonwealth Youth Forum that was held in November 2013 was the first international conference held at the venue. “I think no one has used it more than two or three days. But UDA spends Rs17mn every month just to maintain this Conference Hall,” Ranawaka said. The main hall situated in a 28-acre plot of land has 1,500 seats and there are three additional halls with a seating capacity of 250 each. The conference hall is fully equipped with modern technical facilities and a vehicle park for 400 vehicles and has a helipad for helicopter landing. Minister Ranawaka said the reason behind these unsustainable developments is that the developers didn’t have a proper business plan for future income generation.